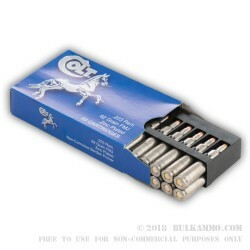 Colt Silver Bear ammunition is a great all-purpose range round, with excellent reviews across the board. While it’s not maybe what you’d expect to see from a collaboration of Colt’s, it does perform when given the chance. The Zinc-plated steel cartridge cases and the Berdan primers offer excellent ignition and corrosion resistance. 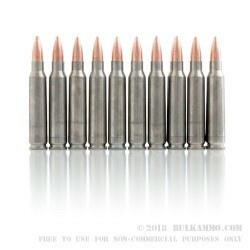 This 62-grain bullet is a great general use weight for your AR style clone or other .223 Remington. The 62 grain projectile will run very nicely out of the wide middle swath of the twist rates with the 1 in 8 twist working very favorably with it but others like the 1 in 9 twist also working quite nicely. Still, this isn’t match grade ammunition and one should expect good accuracy but not superior accuracy. Furthermore, it works extremely well in guns that are a bit looser in tolerances, due to the steel casing. 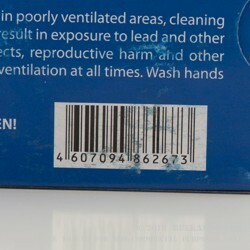 The zinc coating does give it a bit of extra slipperiness, helping aid feeding and extraction in tighter scenarios. 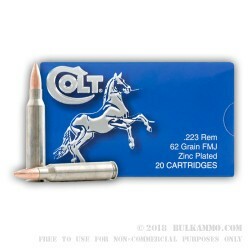 Colt has made a bold brand move for an American company with such a long History in America, but it’s paid off, because the reliability and benefit of this cheap range ammunition seems to have made the cobranding of this ammunition a great idea. It’s not about politics or unproven rumors: it’s about performance and reliability. This ammunition does just that: performs reliably at the range and in the field. Excellent ammo with one caveat. 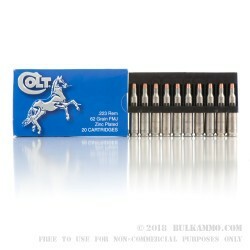 I used this ammo on my AR15 and it performed perfectly. I shot 100 shots without any issues. Q: Does the projectile contain steel? A: Hello Simon! 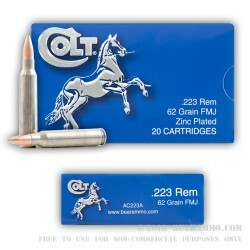 The Colt .223 ammunition is loaded with a bi-metal jacketed bullet. 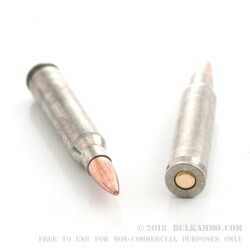 This means the jacket of the bullet contains a combination of both copper and steel. 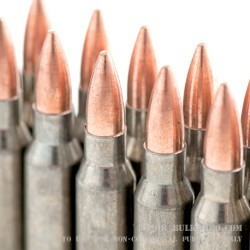 Q: What is the fps of this ammo? A: Hello Scott, Silver Bear lists the muzzle velocity at 3,025 fps for this 62 grain .223 round. 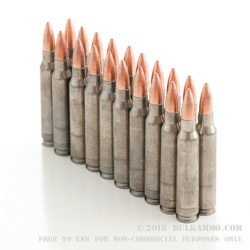 Q: is this steel cased ammo or brass? A: Hey Jacob, these are steel-cased rounds. Colt has signed a licensing agreement with Silver Bear. 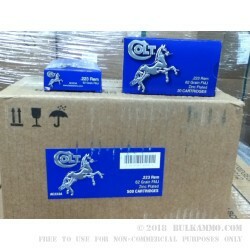 This is essentially Silver Bear ammo with the Colt name stamped on the box so the cases are zinc-plated steel. A: Hello Donovan, These 62gr. FMJ rounds in .223 are non-corrosive, so you don't have to worry about corrosion in your firearm with these.